Joerg studied electrical engineering at the Technical University Munich. Ever since he was active in electro-acoustics with writing books, papers and scientific work. 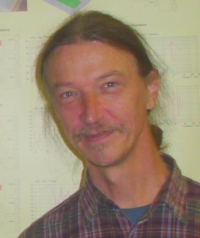 Joerg is the author of several widely used software-applications, such as AKABAK, VACS and ABEC. He also teaches electro-acoustic-modelling at the university Le Mans. Joerg runs his company, which specialises in designing industrial software applications. One of his main interests is the Boundary Element Method for acoustics.